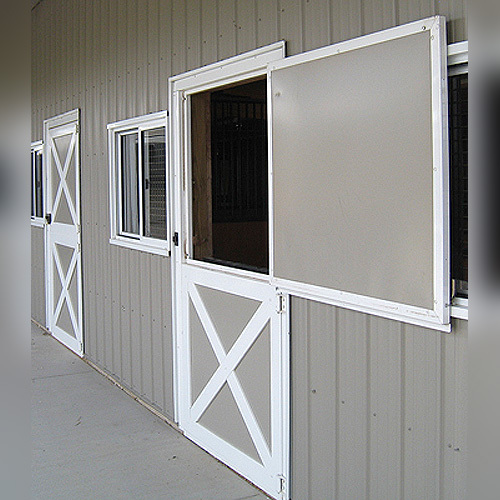 Our Dutch doors are manufactured with galvanneal steel and offered in a variety of sizes and colors. This high-quality door is both functional and durable. 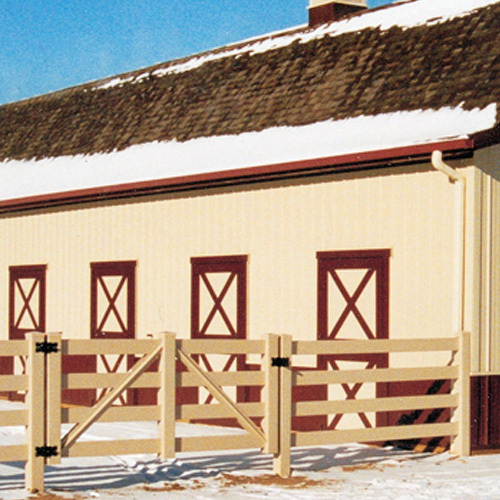 The steel frame system and laser cut design helps resist harsh weather. 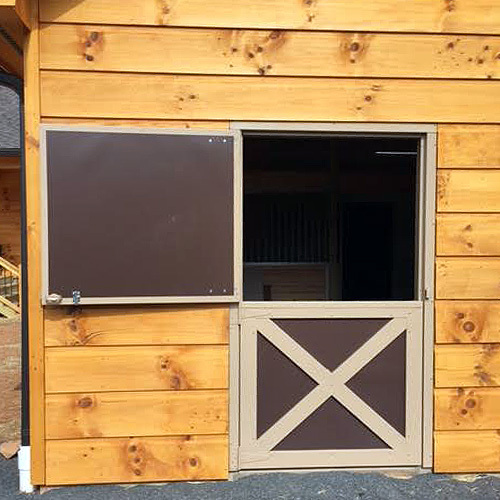 Dutch Doors add much-needed ventilation and socialization for your horses and other animals. 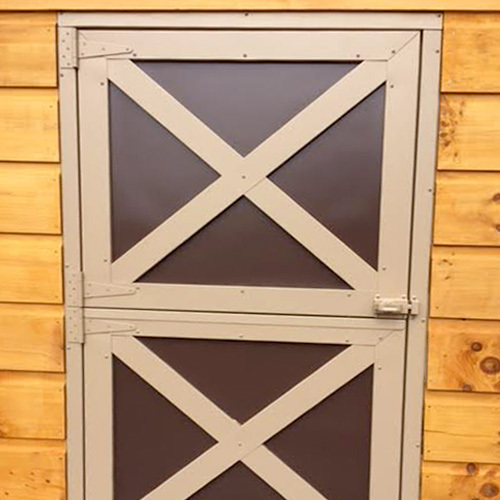 Our Dutch doors are offered in a variety of sizes and colors. 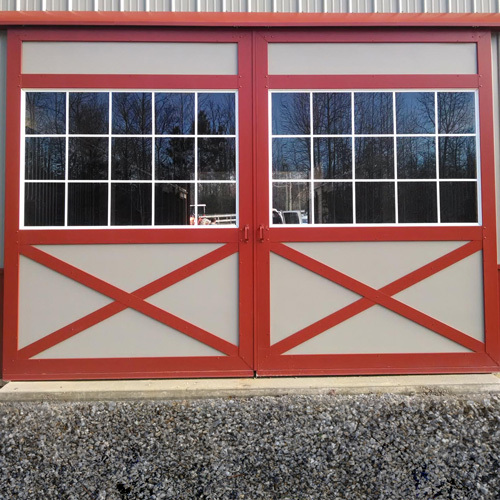 The doors are manufactured with galvanneal steel & have a powder coated finish. This high-quality door is both functional and durable. Additionally, it includes t-hinges for a tighter fit to prevent sagging; the tighter it is, the more it will help keep the weather outside. With the new D-latch system, it's easy to use inside and outside. 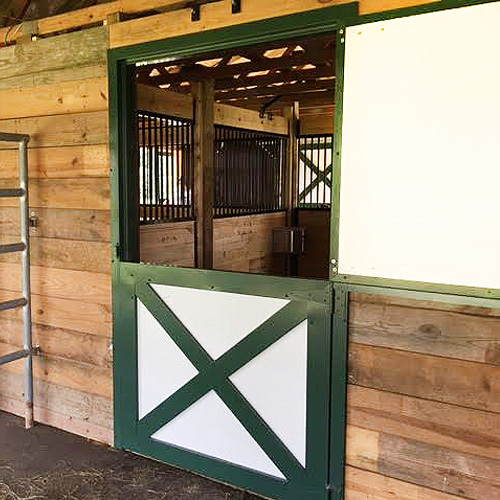 - I recently purchased one of the standard Dutch doors for the back of my horse stall. WOW! We have used other doors in the past but nothing compares to the quality and ease of use that the Ramm Doors offer. I strongly suggest this product to anyone! - We just finished installing our Dutch doors that we had to replace from storm damage. They are the most perfect finishing touch! Thank you RAMM Fence! - We just finished installing our new Dutch Doors, they are fantastic! Thank you RAMM fence! 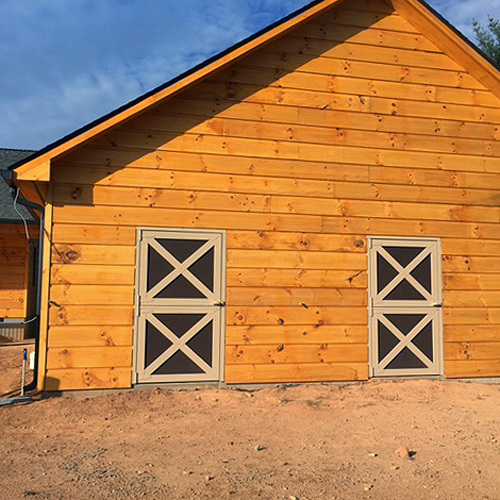 - I have had these doors in in a previous barn that we built. They were wonderful, strong and extremely useful. 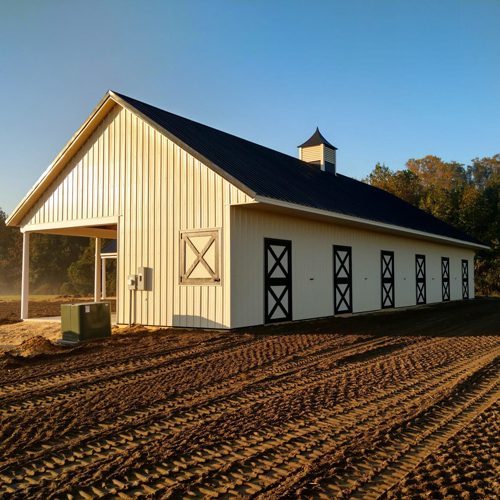 I am looking forward to having them in our next barn. They always closed tight and were extremely strong with our warm bloods, draft and light horses. I would recommend them to anyone that is looking for durability as well as they are beautiful!